A group dedicated to preserving Park City’s silver-mining heritage has spoken informally about the future of the Daly West Mine site in Deer Valley, but it is not clear what sort of effort the organization could mount at the location of a collapsed mining-era relic. The group, known as the Friends of Ski Mountain Mining History, will likely discuss the situation involving the derrick-like headframe of the Daly West Mine at an upcoming meeting, one of the co-chairs said. Rory Murphy said members of the organization communicated via email last weekend, as it was publicized that the Wasatch County water provider that owns the site does not intend to restore the headframe to an upright position. Murphy cautioned, though, the cost of re-erecting the headframe may be prohibitive. The 85-foot-tall headframe remains on the ground more than a year after the collapse in May of 2015. 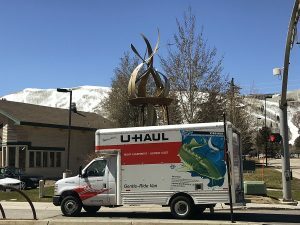 The influential preservation community in Park City desires that it be put back up, something will likely carry a significant price tag. Matt Dias, the assistant Park City manager, said recently the municipal government prefers the headframe be returned to an upright position at its historic location. Estimated costs have not been detailed publicly. Murphy said the Friends of Ski Mountain Mining History plans to discuss "viable options for restoration and, in lieu of that, an interpretation of what existed." "It’s really how much that will cost and where you get the money," Murphy said about the prospects of returning the headframe to an upright position. 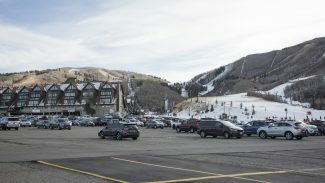 Murphy, a developer who once was an executive at United Park City Mines, the modern-day successor to the historic mining industry, indicated restoring the site would be expensive. Murphy said the headframe is "structurally compromised" as a result of the collapse. He said at least three of the legs were damaged when the structure fell. The legs would need to be repaired before the headframe could be put upright, he said. Murphy said any restoration of the headframe to a standing position would need to ensure the structure is safe. "You cannot reset that thing without extensively repairing it," Murphy said. The Jordanelle Special Service District owns the site. The headframe was at the top of the Daly West Mine shaft and was believed to have been built sometime after 1912, according to City Hall paperwork prepared as part of an inventory of historic sites. Ron Phillips, the general manager of the Jordanelle Special Service District, said recently it would be too expensive to re-erect the headframe and the water provider does not have the incentive to conduct the restoration work. He said the Jordanelle Special Service District has "no need for the headframe to be on the property." Phillips said it would be difficult for the leadership of the water provider to justify the cost to ratepayers. Phillips, though, said the Jordanelle Special Service District would not object to another party funding the work. Park City was founded as a silver-mining camp in the 19th century. Mining drove the economy for decades before a steep drop in silver prices crushed the industry, leading Park City toward skiing in the 1960s. There are numerous mining-era sites dotting the Park City-area mountains. The Daly West Mine headframe is one of the most prominent given its size and location just off the Deer Valley Resort slopes and outside the Montage Deer Valley. 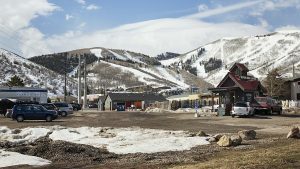 Park City leaders and tourism officials for years have seen the mining history as something that sets the city apart from some competing mountain resorts.